Trade deals and tariffs will always have real consequences. Those consequences aren’t siloed in the manufacturing realm either. Instead, they affect the broader U.S. and world economies. The consequences of decisions on trade stabilize or destabilize our foreign policy and our national security. They can influence the quality of our lives — from the founder of the tech company simplifying the supply chain to a machinist programming a 5-axis CNC lathe to the waitress on the lunch shift at a delicious greasy spoon in Queens. While everything President Trump does matters, it’s his boiling Trade War with China and longtime allies around the world that those of us working in U.S. manufacturing should pay closer attention to. Tied to his tough talk on trade and tariffs, how Mr. Trump moves forward to address issues like the trade deficit, the outsourcing and reshoring of American jobs, currency devaluation and the like is complex and weighty stuff. “Free” trade, in particular, is a complicated issue. While it should be clear to everyone by now that free trade isn’t free, oversimplification and an escalating trade war are not solutions to putting food on anyone’s table. So let’s find some middle ground, shall we? Here’s a look at the origins of free trade in this country and how those origins might inform our future. Trade has long been an important piece of our nation’s economic and political puzzle. It’s also long been a point of contention. Alexander Hamilton, the first Secretary of the Treasury, believed high tariffs should be imposed on imports to help nurture and promote American industry. Thomas Jefferson wanted the U.S. to maintain agrarian roots instead of industrial ones, so he favored low ones to encourage trade. When he became President, however, he imposed a non-importation act and then an all-out trade embargo. The reason for the shift? It was a political move aimed at avoiding war with Britain. The goal was to hurt Britain economically so they would quit boarding American ships and impressing American seamen into British military service against France. Trade, quite clearly then, could be used as a tool in the service of much more than the getting of money or goods. It could also be leveraged to keep — or break — the peace. In the decades leading up to the Civil War, the question of whether tariffs should be high or low broke along the same lines as slavery. The industrial and non-slavery-dependent North sought high tariffs to keep American-made goods cheap and competitive domestically. The agrarian and slavery-dependent South preferred low tariffs in order to keep their financially lucrative and cotton-centered back and forth with Britain unhampered. Proponents of freer, low-tariff trade and proponents of more protected, high-tariff trade weren’t ideologues. They all had something to practically gain or lose based on which way tariffs fell or rose. Fast-forward 35 years, 100 years or 150 years and the same holds true. Whether or not there’s money to be made or lost tends to determine one’s opinion on the subject. But as President Thomas Jefferson learned in the early 19th century, trade has never been just about money. It’s always been about people and politics, too. The 20th century proved all these points in spades. Few people disagree that the years following World War II were boom years for the American economy. While government-backed discrimination was still rampant, setting the stage for the unrest of the Civil Rights movement, GDP, innovation and productivity grew at record rates. 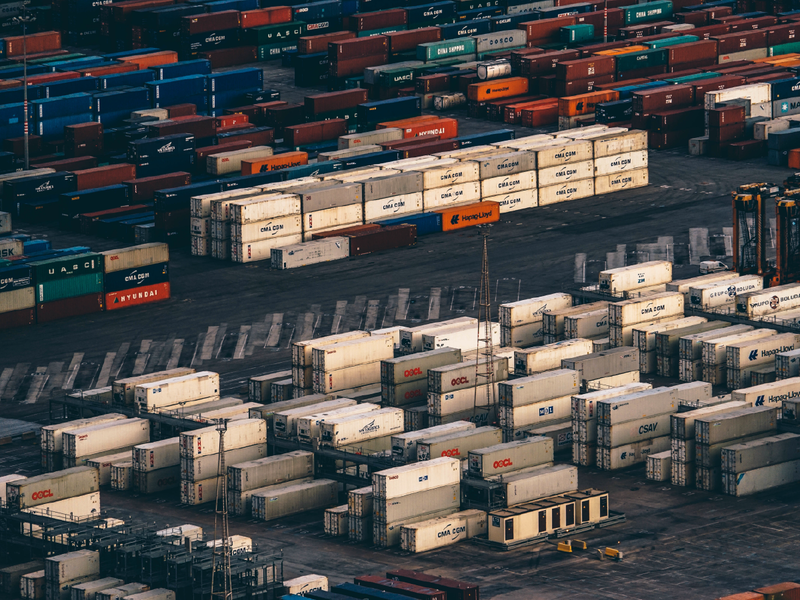 What’s less commonly talked about, however, is the period of protectionism that led up to the second World War and the economic philosophies and practices that resulted from the combination of the two. Roosevelt’s Secretary of State, Cordell Hull, believed one route out of the Great Depression was through freed-up trade. Rather than simply ask Congress to lower tariffs to encourage trade, however, he sought presidential power to negotiate foreign trade deals. In exchange for lowering our tariffs, deals could be made that would require other nations to lower theirs. 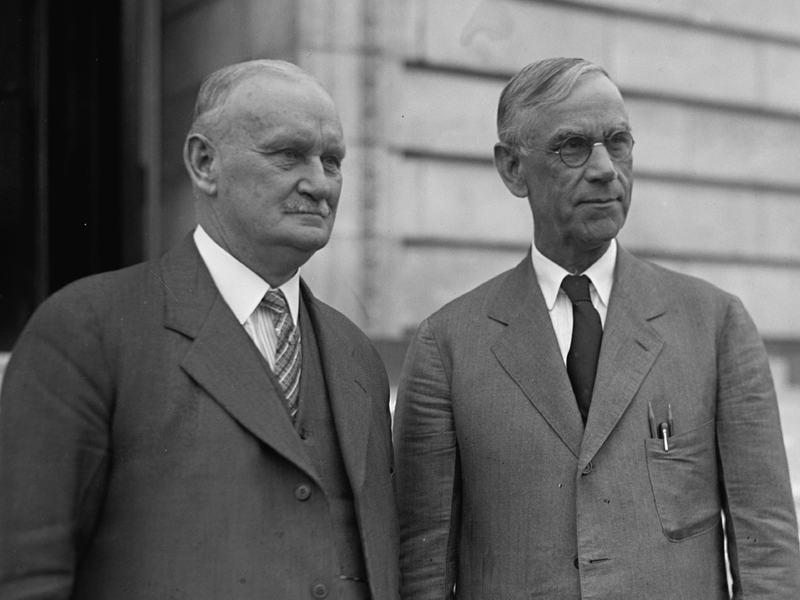 Congress agreed and passed the Reciprocal Trade Agreement Act in 1934. While it would take the rest of the decade and the whole of World War II to fully undo, the extreme protectionism of the Smoot-Hawley Act was over. When the second world war ended, politicians and financiers from the victorious countries met in New Hampshire at the Bretton Woods Summit to lick their wounds and discuss the ways in which money — and its lack — had created the conditions that led to war. Guided by British economist John Maynard Keynes, the summit sought to ensure the world would never go to war against itself again. What was needed, they believed, was stability and openness. To that end, they established the World Bank, the International Monetary Fund (IMF) and created a fixed exchange-rate system that linked the world’s many currencies to the dollar and the dollar to gold. Additionally, they laid out some ground rules to enable easy trade between countries. The period of time between World War I and World War II had been marked by lowered tendencies to trade and isolationism. Many of those at Bretton Woods believed mutually beneficial open trade would have dampened the fires of extremism and fascism that ended up leading to war. After all, if a nation benefitted financially from trading with another country, it would be mighty reluctant to put that financial benefit at risk through the devastations of a bombing campaign. For a while, the results were incredibly prosperous, especially for America’s burgeoning middle class. For a good three decades or so, it felt like winning at work and making money was easy. Whether you worked as a machinist or a schoolteacher, your work felt meaningful, and it paid you well to boot. That sentiment and the financial gains that accompanied it weren’t by accident, either. Part of the Keynesian economic theory that drove post-World War II growth was the central role of the worker in both supply and demand. The value of a country’s workers wasn’t just on the supply side. Well-compensated workers could be counted on to be reliable consumers who also drove demand higher, benefitting employer and employee alike. Keynes believed one of government’s jobs was to develop and enact policies that kept everyone gainfully employed. During good years, the government should collect a surplus of tax that could then be used in downtimes to support and retrain its citizens. Taxation, then, was viewed as a form of protection for the worker/consumer that could drive employment when private companies were on the ropes and unwilling or unable to provide work. President Roosevelt’s New Deal, even though it preceded the war, was a perfect example of a government providing work for people in a depressed economy in order to get that economy rolling again. The post-war boom years gave way to massive civil unrest across much of the U.S. The unfair policies against African Americans, particularly in the South, began an earthquake that shakes still. There were assassinations, poorly conceived and costly wars, a sexual revolution that transformed women’s power, and with it: work and relationships. The first glimmers of today’s automated and digital world began to glow in earnest. In 1971 President Nixon unlinked the dollar from gold. As unemployment and inflation further threatened the nation’s already shaky stability, Keynesian economics lost their luster. By the time Reagan took the nation’s reigns in 1981, free market capitalism was being heralded as the true path to efficiency and wealth. All of a sudden, its invisible hand was everywhere. The worker’s primacy and protection began to erode. The elements of free trade that had already been put in place were continued and expanded. NAFTA, a dream of President Reagan’s that was carried all the way through George H.W. Bush’s presidency into Bill Clinton’s, became the first installment of the modern notion of a “free trade deal.” As Gwynn Guilford makes plain in this excellent article, it was a deal that allowed corporations to invest heavily in Mexico, where labor was cheap and regulation scant. The corporations made a ton of money. The U.S. lost a ton of jobs. Mexican farms were decimated by the influx of cheaper, U.S.-subsidized grain. That loss of a reliable livelihood fueled a massive influx of illegal immigrants across the United States’ southern border. But we weren’t finished. We extended permanent normal trading partner status to China in 2000. More deals with more countries followed. When the race for the next president started way back in 2015, worker discontent was a massive pile of dried and angry driftwood in need of nothing more than a match. Both Senator Bernie Sanders and real estate mogul/reality star Donald Trump burst onto the scene with torches. Free trade wasn’t originally intended to work like this. Conceived in the 1930s and again at Bretton Wood as a way to benefit the nation’s people as a whole, free trade has morphed since NAFTA into a bogeyman responsible for the now-common prospects of a jobless or low-wage future. Those prospects have haunted too many workers for far too long. Say what you will about President Trump’s words, actions and worldview, his ability to tap into that haunting, foist blame in a believable direction and offer what sounds like a solution isn’t nothing. In fact, no matter what you say about President Trump, it’s hard to argue when he says, “I am all for free trade, but it’s got to be fair.” Especially if you work in manufacturing. Or if you’re concerned about the effects of other countries’ unbridled currency devaluation. Or if you worry about what Americans are supposed to do for meaningful work. Or if you haven’t seen your wages rise in four decades. But here’s where the pinch gets tight. President Trump is in danger of throwing the baby — the U.S. economy and, with it, the American worker — out with the bathwater of free trade deals and tariffs. Yes, President Trump is on-target when he suggests our trade policies have unjustly hurt workers, but his proposed solutions are likely beyond reach. His aggressive approach could also lead to foreign policy disasters that worsen the situation even more. The truth is: The jobs we’ve lost to foreign shores aren’t coming back. Automation and other advanced technologies are changing the nature of work too dramatically to bring them back. Don’t believe it? They’re disappearing even in the countries they bled to. What’s left to us is to get inventive on behalf of ourselves and one another and literally invest in the value of the American worker/consumer. We can create the new jobs that fit in with the new nature of work. We have to. To do that, however, we need a new and more intentional way of investing in our own overlapping futures. Given a more proactive government and a private sector more incentivized to train, retain and value workers, the American worker and American industry could simultaneously profit from the policies, practices, R&D and wealth generated from American manufacturing, engineering and resources. But how would we do that? By doing as PresidentvTrump suggests and working to pass free trade deals that are more fair, by providing American workers access — and assistance in paying for that access — to skills and training worth leveraging, by ceasing to undermine the rights of workers to organize for their own protection and benefit, by promoting American exports overseas through sound and stabilizing trade agreements and foreign policy, by putting more of our supply chains on our own soil without cutting off the rest of the world. There is no one answer to the problems our industry and our country face. Still, we would be wise to learn from our past, while reckoning honestly with our present in order to firmly engage and enter our future. There has been no such thing as free trade. It’s been costly to some and profitable to others. What’s needed now is indeed a tall order, but not an impossible one. In summary then? Let there be trade. Let it be fair. Let it benefit more of us.